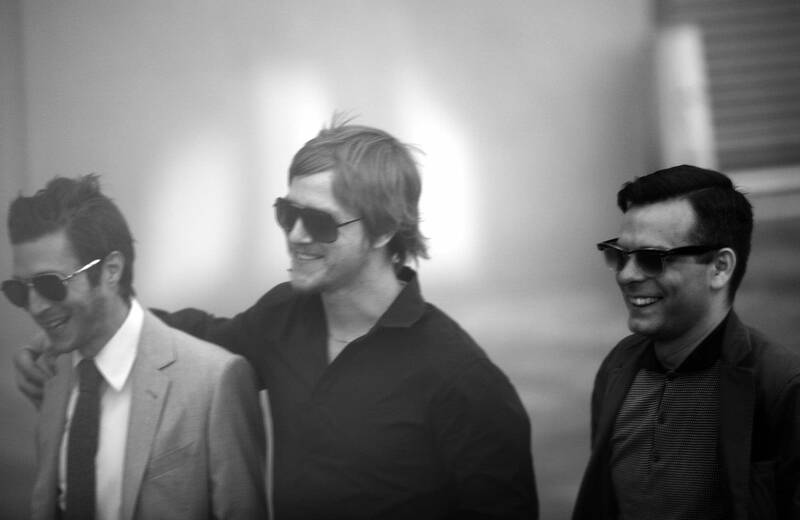 It was our pleasure to welcome Interpol to the Current studios to take over our airwaves for a Theft of the Dial session. I was joined by guitarist Daniel Kessler and drummer Sam Fogarino, who each brought in a few songs and explained them — their history, their production, or just what makes them good. Vocalist Paul Banks wasn't able to come in (per the band, he was at the hotel sleeping) but he nonetheless made a surprising appearance at one point... Daniel & Sam were great guys, and I get the feeling that if we'd let them, they could have gone on much longer — as they asked me at one point, "Are you SURE we can only do six songs?"